A Great Dane. Everyone knows one when they see one. They are the biggest, most impressive dogs on the block. Though many people can recognize them, how much do you really know about them? Check out these 6 facts about the Great Dane. Great Danes aren’t “Danes” at all – they are German! The AKC states that there is “no known reason” for calling these large, German, working dogs Danes. The breed itself is very old and has a long history as a boarhound in Germany. The Great Dane’s large head and stature are particularly well suited to fighting and hunting. 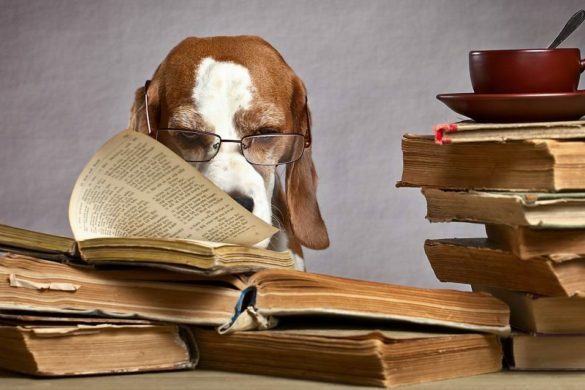 As a breed, they have gone through many different titles before being called “Danes.” Dogue Allemand, Mastiff, Dogo, and Dogge are just a few of the names Great Danes have been called in a variety of languages. But as the Great Dane Club of America states, it was in Germany where the Great Dane truly rooted itself.Workers in the meat industry in Germany used to have to sell one day’s worth of meat per day. This was before the days of electric refrigeration, and it had to be done to prevent meat from spoiling. Butchers had to travel to a central meat storage facility in their city and travel back to their shop with a day’s worth of meat loaded onto a cart in the summer – or a sled in the winter. But who was pulling these carts? Butchers found that the Great Danes were perfectly suited to the daily labor of carting meat. It was because of this that workers in the meat industry began breeding the dogs for work and setting standards for the breed to yield the best possible working dog. Thus the modern Great Dane was born! Yes, they used to work for the Circus, but maybe not in the way you think. Great Danes didn’t perform tricks the way lions did or carry humans the way horses did. They were used for protection. As you can imagine, training lions, tigers, and bears (oh my!) is a dangerous business. Circus ringmasters were putting themselves in harm’s way every day attempting to tame these beasts. So what would happen if the training took a turn for the worst? Enter the Great Dane. Many circus trainers had a Great Dane by their side at all times while training lions and tigers. If the big cat decided to lash out, the Great Dane would react immediately, attacking the cat in defense of its master. This gave the lion tamer a few moments to run to safety – even if it meant harm for the dog.It takes a certain type of dog to attack a lion or tiger on behalf of their master. 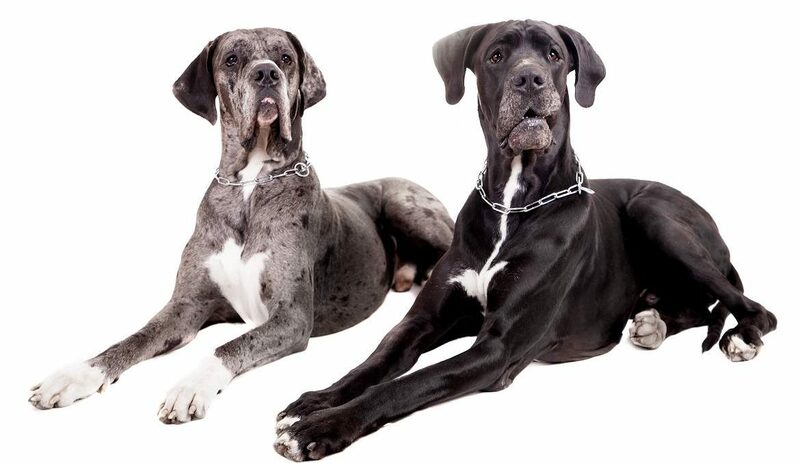 The Great Dane Club of America notes that Great Danes have always been bred for three major traits: loyalty, spirit, and courage. These qualities make Great Danes fierce protectors of those they love – in the circus and daily life. There’s no doubt about it: Great Danes are huge. 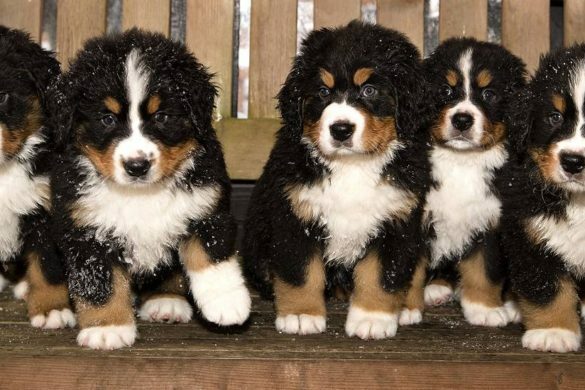 The AKC puts their maximum height at 32 inches at the shoulder. 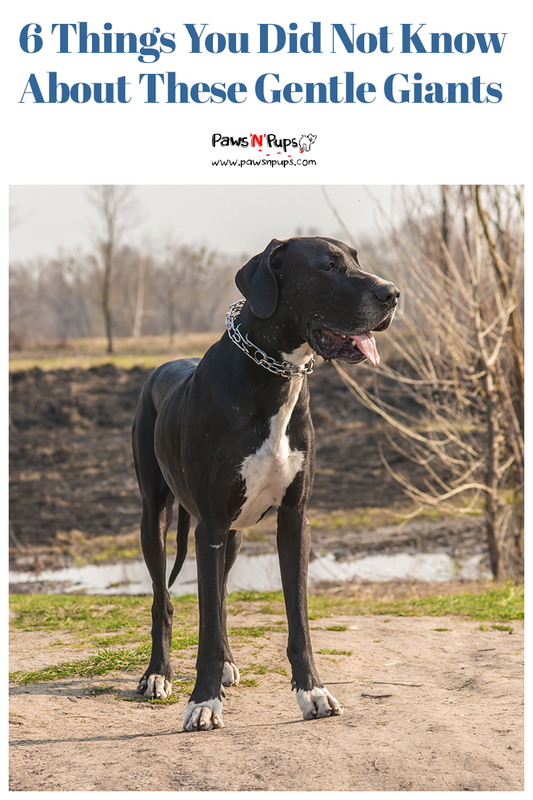 And when a Great Dane stands on its hind legs, it will be taller than most humans!“A Great Dane must be spirited, courageous, never timid; always friendly and dependable,” is a quote from the AKC breed standard. A Great Dane is bred to be loyal and trustworthy with their human companions. In fact, they are known for being excellent with children of all ages.Though they are prone to gentleness, that doesn’t mean a Great Dane owner should forgo proper training. A poorly trained Dane could result in some serious mishaps due to their size. Supervision around children is also essential. Due to their sweet nature, positive reinforcement training should always be used. And be sure to start training early while your Great Dane is still small enough to be easily controlled! It’s no surprise that with such a great disposition, these sweethearts make fantastic therapy dogs. To be a successful therapy dog, the canine in question must first be disposed to such traits as patience, sweetness, and friendliness – all of which the Great Dane possesses. Many therapy dogs work on a volunteer basis, traveling to different locations with their owner. These dogs all must be certified to work closely with people of all types and in all situations. Therapy dogs must be comfortable around children, the elderly, and also around certain medical equipment. An owner and dog team can volunteer through a variety of organizations such as Therapy Dogs International or Pet Partners.The GDCA has a collection of photos of Great Danes doing therapy work in many different capacities. Too cute! Some of the most beloved Great Danes the world has ever seen aren’t even real – they are cartoons! Marmaduke– In 1954, Brad Anderson published the newspaper comic strip “Marmaduke.” The comic followed a Great Dane named Marmaduke and all the trouble he would get himself into. The charm of Marmaduke came from the fact that he was a dog behaving like a dog, not a person. The inspiration was drawn from Anderson’s pet Great Dane. In 2010, a live-action film version of the comic strip was released. Though it was not well received, the Great Dane who plays Marmaduke is certainly adorable! Astro – In 1962 the world was introduced to the Jetson family and their dog Astro. The Jetsons was a hit, and after success in the ’60s made a comeback in the 1980s. Astro was a Great Dane who could talk to his family – though he replaced many of his consonants with the letter “R” (ruh-roh, Reorge!). Scooby Doo – Probably the first famous Great Dane people think of, Scooby Doo has become an icon. It all began with the hit TV series in 1969, and has since inspired spin-off shows, cartoon movies, live action movies, and even video games! Scooby-Doo and his best friend Shaggy are a dynamic duo. Scooby talks similarly to Astro, saying “Ruh-roh, Raggy!” any time they find a ghost! The Great Dane Just Nuisance was born in April of 1937 near Cape Town, South Africa. When he was just a puppy, he was purchased by a man named Benjamin Chaney. Chaney soon moved to Simon’s Town where he was to run the United Services Institute. In those days, the USI was full of Royal Navy Sailors at the Simon’s Town Naval Base. Just Nuisance’s destiny was set in motion. The Navy Sailors adored him. 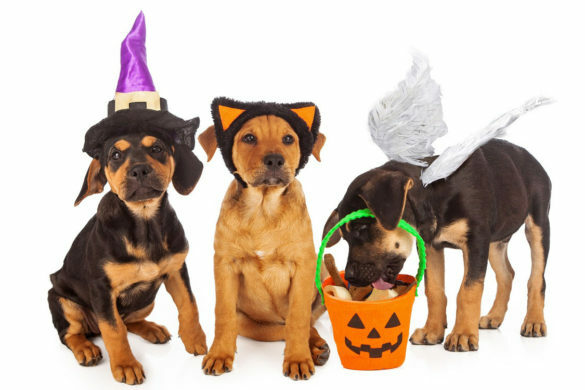 They loved to spoil the Great Dane with pies, treats, and even beer! He, in turn, adored all the sailors and took to following them around. Often the dog could be found laying on the deck of a ship, completely in the way. Sailors would tell him he was “just a nuisance” and thus his name was created.Just Nuisance also liked to follow the sailors when they traveled via train. The sailors loved it and attempted to hide him on the trains, smuggling him onboard without a ticket. Of course, since he was a Great Dane, this didn’t work so well. When a conductor would come by to protest the dog’s presence, Just Nuisance would jump to his hind legs, put his front paws on the conductor’s shoulders, and growl in his face. This wasn’t going to work for long, so the Commander in Chief came up with a solution. Enlist the dog into the Navy! His enlistment as a volunteer would allow him to ride the trains for free. Just Nuisance went through a medical examination just like a Navy Sailor and even signed the proper forms with his paw print. Though he never went to sea, Just Nuisance was always there to boost morale for the sailors. They even held a wedding for him to a Great Dane named Adinda. 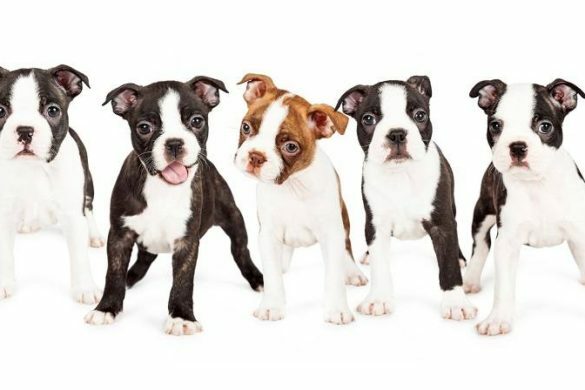 The marriage resulted in five puppies. Just Nuisance was put down at the age of 7, after surviving a car accident that was slowly paralyzing him. His legacy lives on in the form of a statue that stands in Simon’s Town today. Is there a Great Dane in your life that you love? Let us know!